Kristy and her husband spent their honeymoon roughing it across the United States and during that trip visited over 26 major National Parks. Many subsequent treks later have grown an appreciation in her artistic spirit for the United States’ most treasured parks and monuments. 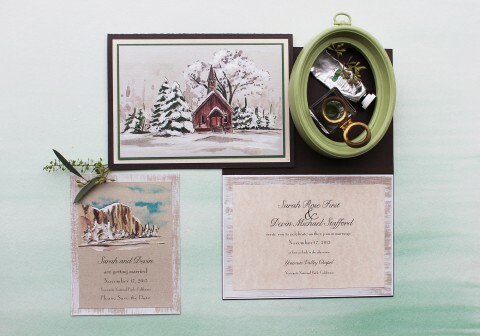 Her many paintings created En Plein Air, from Montana to Utah and Wyoming to California, have captured the hearts of so many in this National Park Wedding Invitations Collection. 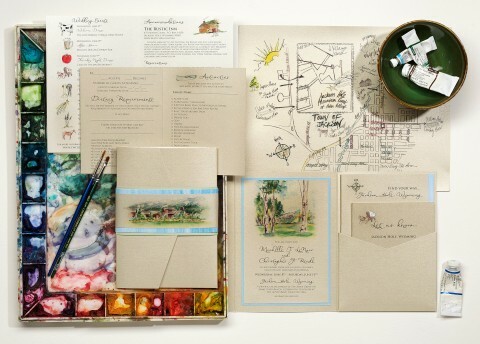 Painting National Parks is our passion - take a look at some more majestic invitations!